New York, NY – (April 09, 2018): United Thinkers, a New-York based commercial open-source Payment Management Software provider has updated its popular white paper for prospective payment gateway providers in accordance with the realities and latest requirements of merchant services industry. United Thinkers published a white paper providing tips for those who want to have a payment gateway of their own on how to go through the process as smoothly and seamlessly as possible. The process of finding the right payment gateway for a particular business is rather complex, so many people decide to build payment gateways of their own, but building your own payment gateway is not as easy as it may seem initially. In order to simplify the process of payment gateway setup and outline all the steps a business must take on this labor-intensive quest, United Thinkers released this comprehensive document that covers the key aspects of the process. The white paper consists of several sections, each covering some particular aspect of payment gateway development, or answering some related question, such as the following ones. How can you define whether you need to become a payment gateway provider or not? What are white-label payment gateway solutions and their types? How is a hosted solution different from a dedicated gateway instance or a licensed gateway software package? Which costs and savings are associated with development of your own gateway solution? How to handle different functions related to merchant lifecycle within a gateway? Why are acquiring partnerships so important? And, finally, what are the approximate actual costs associated with each phase of the process? These and other issues are addressed in the respective white paper sections. 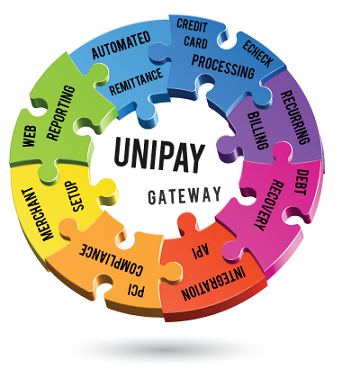 A separate section is dedicated to description of United Thinkers’ payment gateway software solution, UniPay Gateway platform. Original edition of the white paper has already been published and downloaded by many readers. Now it has been updated in order to meet the requirements of the present-day merchant services market. The white paper is targeted at the following categories of users: companies that want to replace their existing legacy gateway technologies with new ones; companies that are considering the prospect of taking hosted or white-label solutions they currently use in-house; large corporations and holding companies that look for opportunities to consolidate processing across all departments or portfolio members within some unified platform; large software platforms that want to make a transition to payment facilitator model. “Many people think that a payment gateway is just a software package – you can just buy it, install it on your server, and you are ready to go. In reality the process of becoming a payment gateway provider is much more complex, as it requires you to handle connectivity issues and certifications with various acquirers, as well as PCI compliance, so the underlying costs may turn out to be significantly higher than you initially expected” says United Thinkers president, Eugene Kipnis. “As a company that specializes in these issues and has to deal with related challenges every day, we’ve decided to compile a document with guidelines for people, who are considering the prospect of becoming payment gateway providers”. You can download this updated white paper, covering all aspects of the payment gateway development process at UniPayGateway website. Want to become a payment gateway provider? Check our updated white paper covering some particular aspects of payment gateway development and answering some related questions, you might be interested in. Is Your Legacy Payment System Failing You?